Jurgen Klopp insists he’s not worried by Liverpool’s run of form and the stats also suggest they are doing plenty right. Sooner rather than later the Reds’ fortunes should turn, and their game at Leicester may well be the launchpad. Four days after losing at the same venue in the League Cup, Liverpool can grab an important three points against the same opponents. 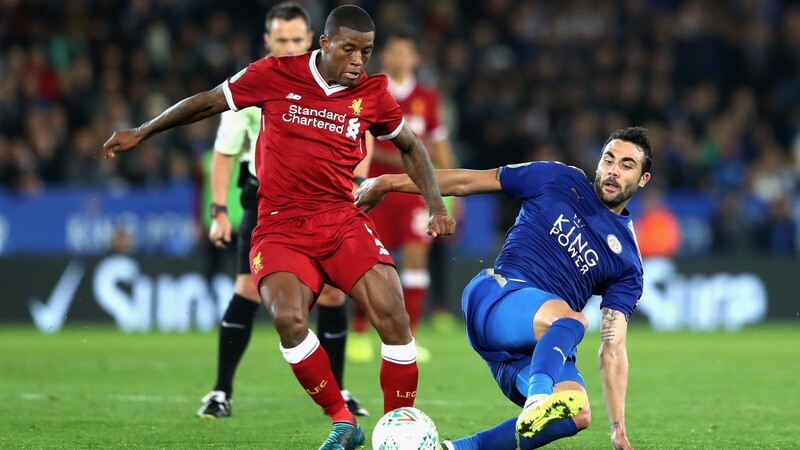 Liverpool dominated the back pages on Wednesday after losing 2-0 at the King Power, their fourth straight match without a win. But much of the criticism was cheap and lazy. Liverpool, massively reshuffled by Klopp, were far the better team for an hour but missed too many chances. They were pretty unlucky. They had far more possession, more corners and almost three times as many shots – it’s just that Leicester took their opportunities andLiverpool didn’t. This doesn’t look like a crisis at any level. This four-match winless run features a 5-0 hiding at Manchester City in which there was nothing to choose between the sides before Sadio Mane’s early sending-off, a draw with classy Spanish outfit Sevilla, which can hardly be labelled a disgrace, and defeat in a League Cup tie with a string of fringe players on duty. Klopp is not going to change his approach and it can only be a matter of time before the team who boast the most shots on target in the division with 40 start hitting the back of the net rather than the keeper. This is a game which looks to have goals in it, as most Liverpool matches do. Reds backers can get 10-11 about the visitors but the prospect of goals suggests backing Liverpool and over 1.5 at 6-5. Klopp will bring his big guns back for this match having given the likes of Mo Salah, Roberto Firmino, Daniel Sturridge and Emre Can the night off. Philippe Coutinho was given a half and ran the show for 45 minutes. He can do the same for longer this time. Leicester copped on Tuesday at shorter odds than they will be this time even though Craig Shakespeare also opted to make changes. He ought to be able to welcome back Jamie Vardy – the England man has had a groin strain – and can also call upon Riyad Mahrez and one or two more. They certainly need to show more urgency than they did in the cup match but the Foxes aren’t in the best of form. They have won only one of their last eight in the league and were pretty awful at Huddersfield last weekend when they managed to salvage a 1-1 draw. The odds are on Liverpool dictating the tempo and carving out the most chances. If they can finally take a couple they should be in business. Over 2.5 goals looks a good shout at 3-4 with Betfair. Jamie Vardy (groin) is a doubt. Christian Fuchs is fit again but Matty James and Robert Huth are still missing. Emre Can has shaken off a knock but Dejan Lovren and Joel Matip are doubts. Adam Lallana and Nathaniel Clyne are injured though Danny Ings is fit again. Sadio Mane is suspended. Leicester have conceded 18 goals in their last eight league games with one clean sheet.